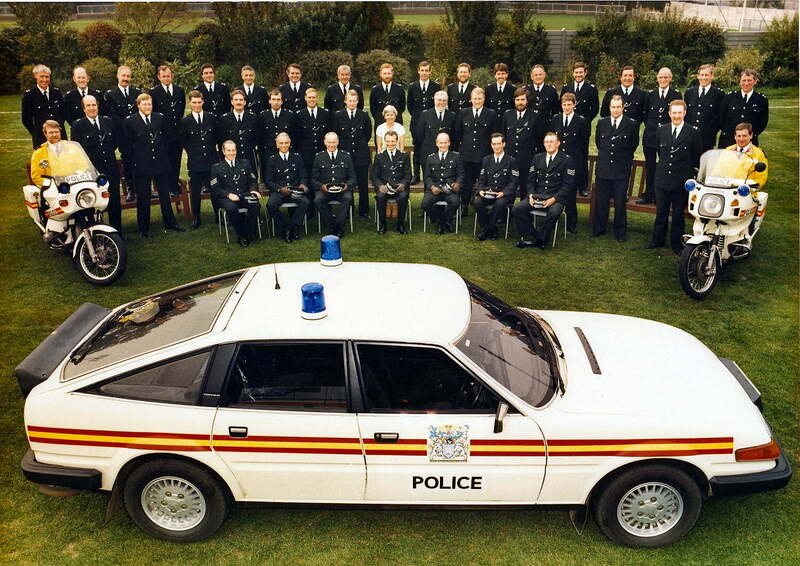 Simply this, for some twenty five years of my life I was involved (as a recovery operator) with our local Police Garage TDV - The Metropolitan Police's 'V' Division Traffic Garage, at Surbiton. Now 25 years is longer than most officers were stationed there, and in that time I saw many amazing 'characters' come and go! Many have remained good friends, long after we all retired, or moved on. To my amazement in 2004 when I looked, no one had created a web site for any of the Metropolitan Police's Traffic Garages and if any of them deserves it - it's this one. Some of the stories about its 'inmates' are indeed legendary and the building itself, is also an historic Icon of Formula One, being the birth place of the Cooper Formula One Racing Team. Click on the links below to delve into the history of this remarkable place and read some of the stores about those that served there. About me: These days I am retired as founder and MD of the National Rescue Group, bit I am still 'on the fringe' of recovery, as a trustee in RISC (The Recovery Industry Support Charity) Otherwise however, I am virtually retired and having a little spare time, I started off this website. It is here not just for me, but for the men (and a few ladies) of TDV, to keep in touch and remember their rich heritage. There is a data base for people associated with TDV, to place their email address (if they want to), so that others can get in touch. If you would like to have your email address displayed, then please go to that page and read the simple rules. Lastly I say again it's not my website, it's yours - so please contribute. TDV Background from Alan Neale. On 1st April 1965 the LCC (London County Council) was replaced by the GLC (greater London Council) and as part of the change the Metropolitan. Police was also reorganised. Traffic was split into divisional units, Hampton at that time accommodated two units (TTU and VTU), ‘V’ Traffic Unit were lodgers whilst suitable premises were found on ‘V’ division. The unit consisted of an Inspector (Harry Mears), five sergeants (Bert Hodges, George Haycock, Arthur King, myself and one other). Harry Mears had no previous traffic connection, as far as I am aware, and the PS’s and PC’s were a mixture from Hampton and Barnes. Eventually Coopers Garage, Hollyfield Road, Surbiton was leased as suitable premises and VTU moved in. The story does not end there – after a short time nicely ensconced the powers that be decided to move us back to Hampton. I cannot remember the reason given but it certainly caused a stir, we thought Coopers suited very well being in a central location on the Division and close to the A3. After great agitation, led by the PC’s rep Dicky Thornton, we were returned to Hollyfield Road. At some date later came another reorganisation and we became ‘Traffic Division’. That is the end of my account, I retired on 2nd September 1979, the last of the original five sergeants. I hope I have narrated events correctly, time waits for no man and my memory is not what it was. 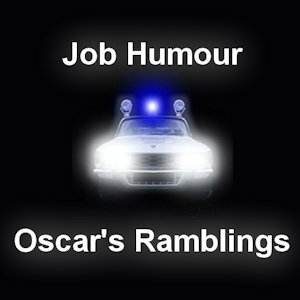 My lasting memory was of a happy and efficient unit, naturally we had a few scandals etc. I remember once saying to my wife it was like ‘Pelham Place’, that dates me! The Building Background by Andy Lambert. Charles Cooper moved into 243 Ewell Road Surbiton in 1934. This was a corner shop at the Junction with Hollyfield Road; to the rear was the site that would become TDV. At that time it was a corrugated building, with a small stream 'out back'. It is rumoured that Charles kept ducks on the stream. The Cooper family would for a while live in the flat, above the corner shop. 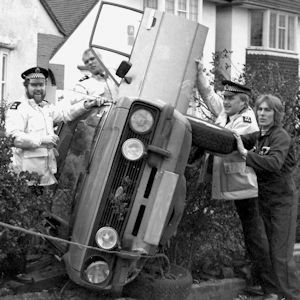 The site was first known as Cooper's Garage and it operated a 24hr breakdown service. Later it would also possess a Vauxhall dealership. Having the police station across the road, turned out to be an added bonus, because as the Ambulance came down the hill (from the ambulance station) they would ring their bell, to inform the police, they were attending an accident, on the Kingston By Pass. 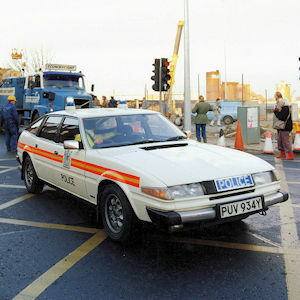 It is said that at this sound, Charles would crank up his breakdown truck and follow the emerging police car (long before JPG was born). The growth of the Cooper company into a Formula One team is a story in itself and very much involves Charlie's son John. Anyone wanting to know more should purchase a copy of Doug Nye's excellent book Cooper Cars. The above picture is from this book (with his permission). By the end of the sixties the Cooper F1 team was no more. Below is a newspaper clip about another TDV/Cooper connection (see the next column). Clive Abrahams adds I joined TDV Traffic Unit at its location at Hampton in November 1967. We moved into our new garage at Hollyfield Road, Surbiton on 1st April 1968. 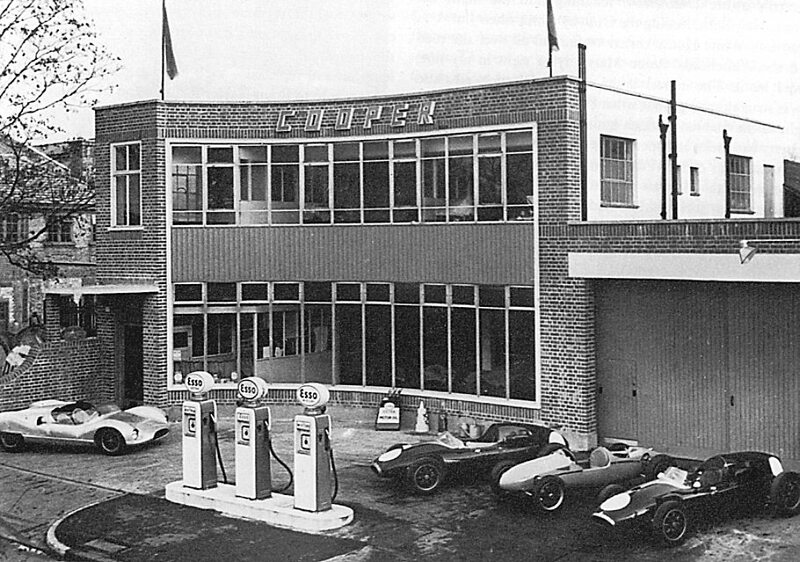 The new garage premises were owned by and leased to the Metropolitan Police by one John Cooper. The same John Cooper of Formula One fame and the originator of the Mini Cooper Car. The first Mini Coopers were converted from the standard machines at the premises now occupied by us. 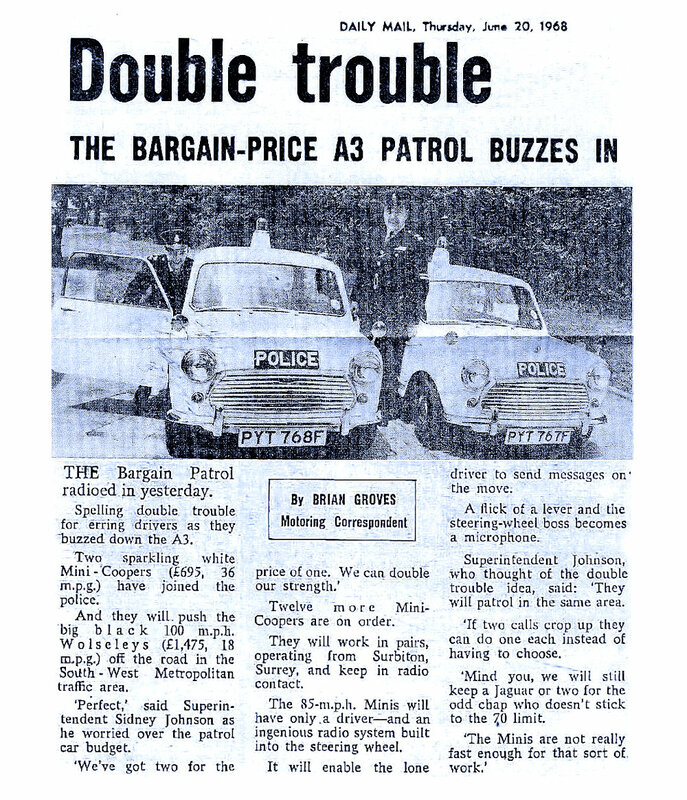 In August 1968 we were supplied with the two Mini Coopers index numbers PYT767F and PYT768F, these replaced Wolseley 110’s, which were being phased out. The remainder of our fleet at this time consisted of a Daimler Dart, a Sunbeam Tiger, Rover 2000TCs, Triumph 2000’s Land Rover 109 long wheel base, Jaguar 3.4s types This later car was destined to be the workhorse of Traffic Division for many years to come. However it had one major drawback. This related to the Area, which our Traffic unit patrolled. This consisted of the outer very rural parts of Surrey with fast open roads, where the car ruled supreme and also parts of Greater London such as Tooting, Balham & Wandsworth, where the manual clutch proved to be very hard on the leg muscles. To this end the Mini Cooper was brought in to see if it would fill the niche as a more suitable vehicle for the inner London areas. The main difference was how the vehicles would be used. Normal patrolling practise was for double manned cars. The mini’s would to be single manned with two vehicles patrolling the same area previously patrolled by one. Thus Whiskey 11 became Whiskey 11 and 12. The vehicles were purpose built for single manned operation. The centre boss of the steering wheel, now redundant as a horn button, was replaced with a speaker / microphone with a small remote transmitter switch on the steering column. This enabled the car to be driven at speed without hands being removed from the steering wheel to transmit messages. The vehicle had two-tone air horns and a bell all under the bonnet. The standard AT calibrated speedometer head was fitted in place of the standard mini speedometer, other than that the vehicle was more or less completely standard. We carried minimum kit in the boot and in the area that would normally have been the rear seat which removed there was a single rotating Blue light fitted. This was mounted on a raised plinth of about 4inches; as to mount it on the roof directly would have been blow the required height for it to be legal. A single Ariel was mounted behind the Blue light. There were POLICE signs front and rear. We kept the vehicles for about two years. There were teething trouble with gear selection and brake fade, they eventually moved on to our Traffic Unit at Bow and then to disposal. To the best of my knowledge no others were purchased despite an original order for 12. In those days policemen were much larger and taller than today so they were somewhat cramped, but extremely enjoyable to drive through heavy traffic situations. TDV Database A list of those who served at TDV who want to keep in touch and those who have 'Booked off' that we know about.